have arrived. 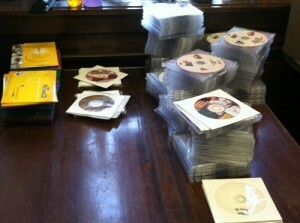 There are approximately 350 cd-roms holding an average of 75 images per cd. We are working our way through them noting individual athletes who played football, soccer, basketball and baseball. There are also athletic logos included in the files. Many of the images are not identified. These will eventually work there way onto KenCat our online database where we will request assistance in identifying people. Archives are not the place to run in to check a quick fact and then again, sometimes they are. Archives generally are about indepth research. It takes time to read through original sources and find the information that will prove or disprove your hypothesis about a person or event. Often reference staff will slow you down and go over the question(s) that you are looking to answer. We are attempting to narrow the field of the many resources we hold to get you to the ones that have information that you are requesting. Sometimes the answer you want is not the one you get. Then again, sometimes researchers ask a question that has been asked many times and the reference staff does have the answer immediately. It can happen. Either way, archives are a great place to find answers. Construction on a college campus is an ongoing occurrence and that certainly seems to be true of WKU. Current renovation and construction projects include the Chapel, Van Meter Hall, Snell Hall and the College of Education. 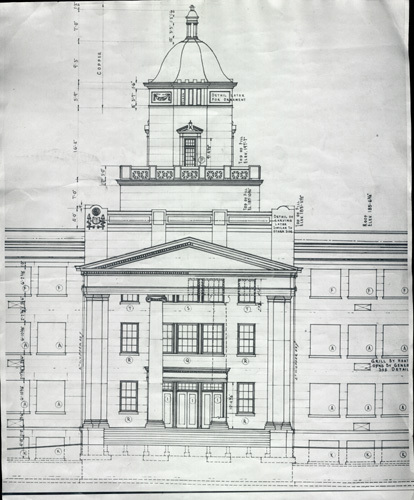 University Archives holds records of construction projects dating back to 1906. 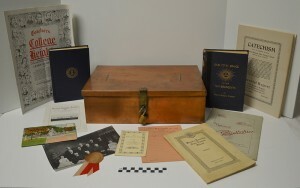 These are found in a variety of collections such as the president’s papers, photograph collection and the Building File created by the Planning, Design & Construction Office. University Archives staff are processing the building file as it is being used by patrons. During processing, folder level descriptions are added to the finding aid. Updates are posted on TopScholar. There you will see the type of records in each folder: correspondence, construction meeting minutes and inspection reports. Correspondents are listed by name or company. Researchers can see the process of how a building has gone from the drawing board to final inspection and opening. Student volunteers and workers have been researching building histories. These are posted online as a part of Hilltopper Heritage. Check out these and other records in University Archives via KenCat. Holy Cross archivist Sarah Campbell stated that “archives aren’t lending libraries.” Special collections serve a different mission than lending libraries. They hold unique, one of a kind items that need special care and handling in order to preserve them for as long as possible. Think about the different conditions that you subject a library book to while you have it checked out. How many other items are in your back pack with it jostling around? Is it raining outside as you cross campus without an umbrella? Do you read at the dining table while eating? Do you take notes with a sheet of paper laid over the pages? These are things that would destroy most archival materials in a relatively short time. Special collection books and documents don’t circulate and we have rules about how they can be handled in order to ensure that you can use them as well as the person who comes in after you. 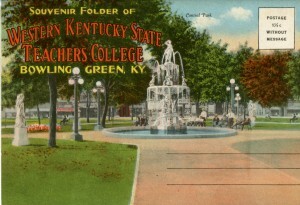 Check out the Kentucky Library & Museum collections on KenCat. Shari Theroux contributed “Archives are not a good place to eat,” to the list of what an archives is not. Archivists, like conservators generally follow the rule of “do no harm” to the collections in their care. One easy way to do this is to prohibit food and drink in rooms where records are stored, processed and used by patrons. The obvious damage comes from spillage onto documents that at worst would make them completely unreadable and at least deface them irreversibly. Mold can set up in wet documents rather quickly and spread to other documents. It is difficult and expensive to erradicate once it takes hold. Food is prohibited because it can attract rodents and insects. Once insects have found their way into books, they can be removed through fumigation or freezing. Insects can eat their way through a collection rather quickly leaving only fragments behind. Removing human food and drink from the archives prevents them from becoming the insects’ and rodents’ favorite snack bar. While we archivists do work to make the collections we care for more accessible through arrangement, research, digitization and the creation of finding aids, we cannot do the work for our users. The materials are here, cared for and ready to be read or looked at and they are certainly NOT boring! WKU is fortunate to have an excellent Special Collections Department in WKU Libraries. There are manuscript collections representing individuals, families, religions, corporate entities, towns and counties across the state. There are photographs documenting life in Kentucky from the beginning of the medium. There are rare books, maps, oral histories, film and video. 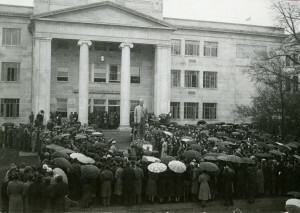 There are university records for WKU and its founding institutions. There is a museum full of exhibits highlighting the artifacts, costumes and artwork collected through the years. In honor of Archives Month, try to visit an archives near you. (Hint: We’re located in the Kentucky Building). 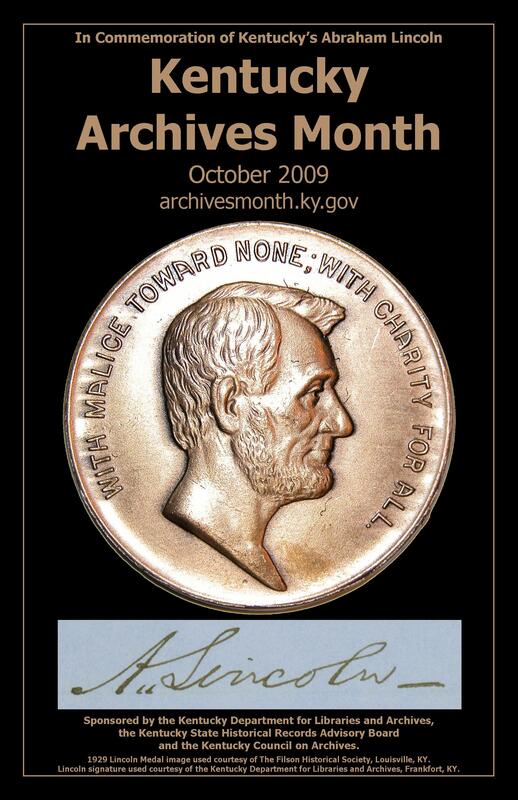 Check out the Kentucky Archives Month website to learn about other archives and activities throughout the state. Take a look at KenCat to see some of what is available here in the Department of Special Collections. WKU is very fortunate to have a great run of photographs dating from 1906. There are currently three students creating an inventory of the collection. As they go through the filing cabinets of photos collecting data, the university archivist reviews their work, categorizes the images based on twelve series (photo collection) and enters the data into our “Past Perfect” database. Many of the images are very well described, listing the people, places or events they depict. However, there are a number of images that do not have any or incomplete descriptions. The students do research in the Talisman and other sources to more fully describe the images. The photos that remain unidentified will be scanned and posted online so the public can help us identify them. We also scan images on demand for researchers. This is a service we provide free for students and faculty and for a fee to those outside the university. The images that are being scanned are being described as fully as possible in Past Perfect. The goal is to mount the descriptions and images online using Past Perfect.